The company participated in an exhibition on “The House of Tomorrow” at the 1932 Chicago World’s Fair, featuring modern homes outfitted in Herman Miller furnishings designed by Rohde. The positive reception helped cement the change in direction for the company. 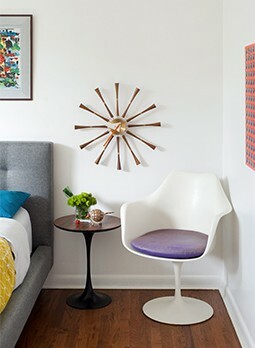 “Herman Miller would go sled-length into modern design,” De Pree said. 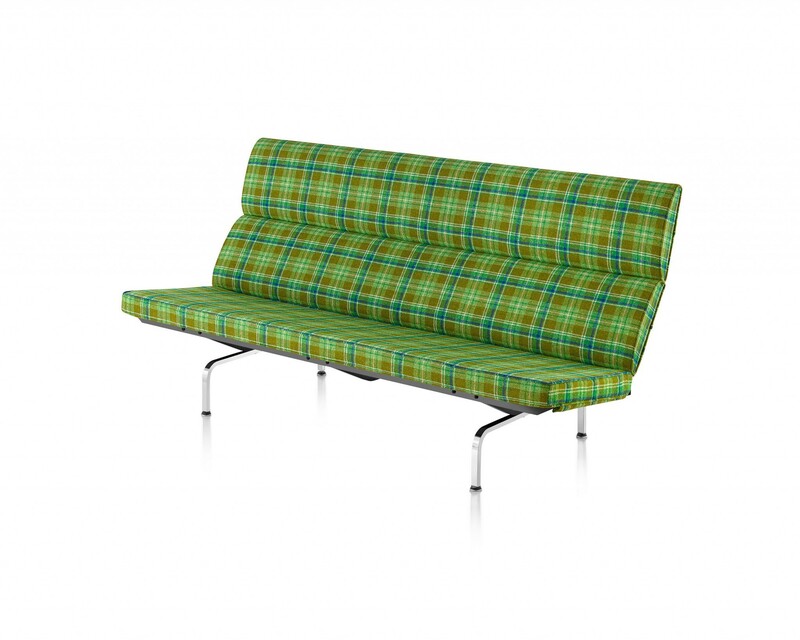 This new direction focused on designing furnishings that truly reflected how people lived in their homes. 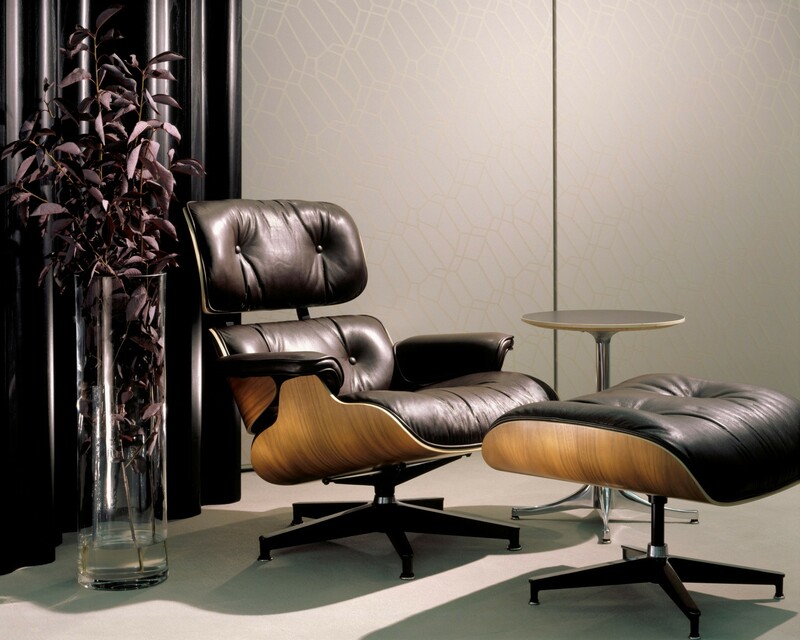 Eames-designed lounge chair and ottoman. Source. Eames-designed molded fiberglass armchair. Source. 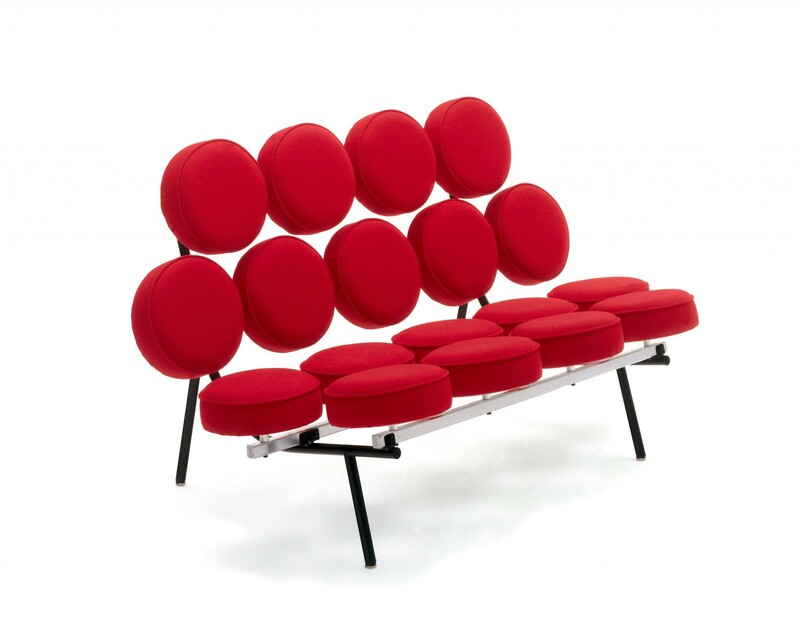 Working with an impressive string of designers, artists and architects—including Rohde, Nelson, Charles and Ray Eames, Alexander Girard and Isamu Noguchi—Herman Miller produced furnishings fit for modern homes and lives that have become celebrated classics and earned spots in the collections of institutions including the New York Museum of Modern Art. The company is still producing many of these pieces today, with contemporary updates. 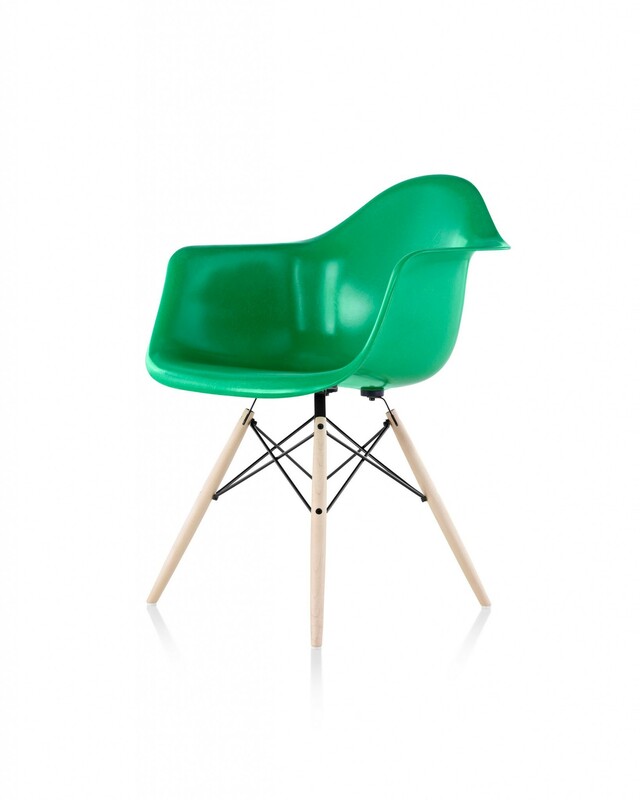 The Eames Molded Plastic Shell Chair, for instance, was recently reintroduced in a sustainably reformulated, GREENGUARD Gold Certified molded fiberglass.